Earlier this week, BMW invited selected media in the heart of Silicon Valley for a briefing on its roadmap to self-driving cars which are scheduled to arrive in 2021. The exclusive event took place at the BMW Technology Office in Mountain View, California, a research site which works in close collaboration with the innovation group Munich. Many of the app integrations found currently in new BMWs have started in Mountain View, from the Amazon Alexa and Echo integration to the development of the Apple Watch app. Now, the office focuses mostly on autonomous driving, with lots of talent being pooled from the competitive landscape in the Bay Area. BMW says that one incentive it offers its prospective employees is the ability to work on products with a clearly defined roadmap. Dr. Klaus Buettner, the Head of Autonomous Driving at BMW, and Simon Euringer, Head of BMW Group Technology Office USA, hosted the event giving us a deeper look into the autonomous driving philosophy at BMW, one that’s significantly different from other automakers in the space. The BMW executives emphasized the more cautious approach taken by BMW which allows the company to deliver fully functional, no-compromise product when it goes to market. BMW recognizes the need to offer a car that will retain the typical BMW driving dynamics, so therefore, the self-driving technology becomes an add-on, for an additional cost. Another development project will run in parallel with the iNEXT to test and implement the Level 4 and 5 vision, especially in the challenging urban environment where the need to take over the wheel is far more frequent. The first car offering Level 3 autonomous operation will be the Audi A8 which will arrive in early 2018, but the self-driving technology from Ingolstadt comes with a caveat – it works only up t0 37 mph. Dr. Buettner says that BMW wanted to deliver a more compelling product, hence the cautious approach which will take the Level 3 to a top speed of 80 mph. The higher speed is more suitable to highway speeds, rather than the typical stop-and-go. “With Level 3 autonomy, there is a major impact for the whole architecture of the car,” Dr. Buettner says, citing also a technological quantum leap from Level 2 to Level 3. BMW also says that computing power reached a level that allows them to start work on the functional side. In the next few years, sensors will also see a potential industrialization since there is a huge push for more advanced sensors made available for self-driving features. A fully autonomous driving car needs an impressive array of sensors and tech – 3 LIDARs, full range radar, 2 short range radars, rear facing cameras, GPS antenna, trip focal camera, front side camera, 360 surround view camera, 360 ultra sound coverage, 1 rear camera and 2 rear LIDARs. The new G30 5 Series which is on the market today has a Level 2 technology with the following features – side view camera, full range radar, ultrasonic sensors, side range radar, surround view camera, stereo front camera and rear view camera. Level 3 also presents issues on highway at high speeds where the detection of small objects is a critical issue. Equally if not more challenging are urban environments where pedestrians’ behaviors are an issue. BMW’s platform for autonomous driving cars is extremely complex, BMW cites some of its pillars – High-performance computing, Artificial Intelligence, computer vision, validation methods, sensors raw data processing, system safety and robustness. Therefore, a deep and extensive collaboration with other automakers and tech companies is needed to achieve the end goal. For example, HD maps are an essential component of autonomous driving, so BMW, Daimler and Audi partnered up to buy HERE Maps. US HD map availability of 255,000 km is expected by end of 2017. High-data transfers are also important in communication protocols, so joining the 5G Automotive Association was seen as a natural step in Munich. Different tiers of partnership are also in place. BMW talked about the importance of its partnership with Intel and Mobileye who provide in-car computers powerful enough to drive its future cars and data centers to process the data. Intel has already set one up in Munich. Other OEM/Tier 1 partners include Magna, FCA, Delphi, Continental, who are are involved in development and integration. Currently BMW is in talks to add more partners in 2017 before the development requirements are frozen in 2018. Speaking of development and engineering, BMW is all about being nimble and iterative, so the company has adopted the Agile software development methodology. 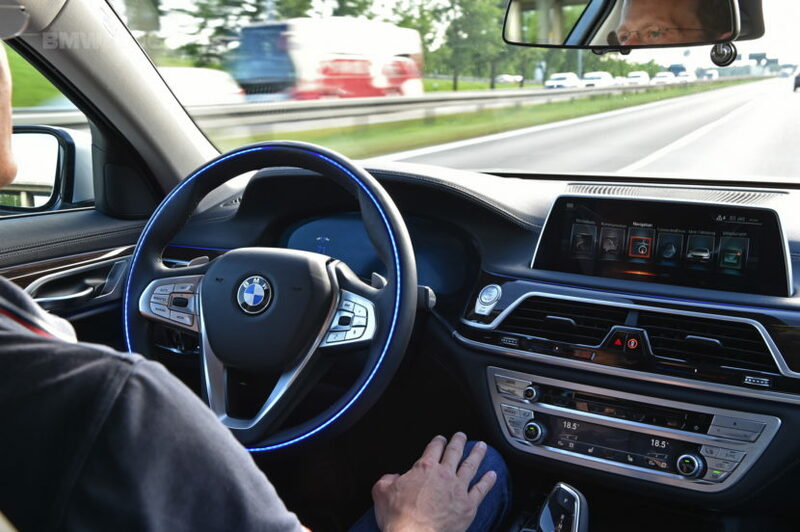 To achieve this aim, the BMW Group is combining its development expertise in vehicle connectivity and automated driving at a new campus in Unterschleissheim near Munich. Upon final completion, more than 2,000 employees will work on the next steps towards fully-automated driving, from software development to road testing. Currently 700 to 800 employees are housed in the new building in Munich which encourages collaboration and open-space work environment, similar to what you would see in Silicon Valley startups. In designing the iNEXT and other future self-driving cars, BMW uses a modular platform which allows, for example, a smaller ECU in some cars, and a larger one where needed. The microprocessors found in a car range from 2 to 7 units, with power consumption rated at 25 kW to 600 kW, which in some cases, might require liquid cooling. 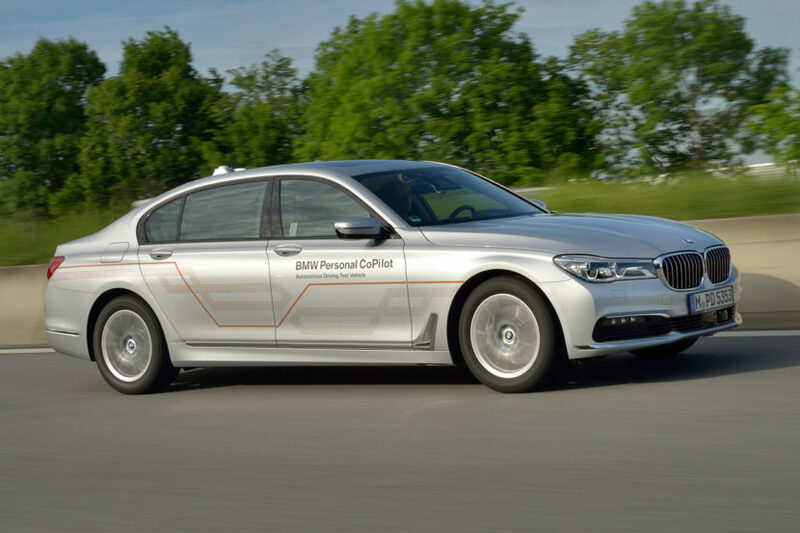 BMW also emphasized safety, likely the most important and most challenging requirement in the adoption and legalization of autonomous driving cars. Dr. Buettner says that 240 million kilometers without accidents have to be completed – 5 percent of this by fleet cars, the rest through computer simulations. 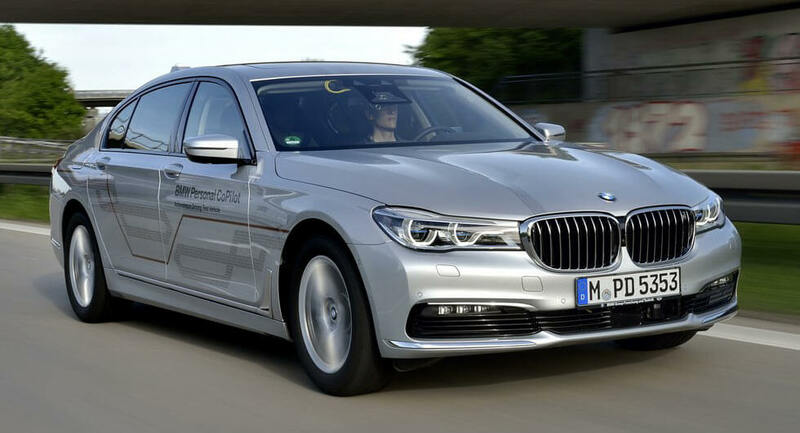 BMW currently has 40 7 Series cars equipped with its self-driving technology testing around Munich, but it eventually aims for 185 test cars on the road. In 2019, there will be 100 vehicles with HAD (Highly Automated Driving) and FAD (Fully Automated Driving) tested worldwide. Two 7 Series prototypes are currently being tested in the Bay Area, one with Level 3 and the other with tech needed for Levels 4 and 5. Footage of those prototypes can be seen below. Automakers like Mercedes, Volvo, Ford and General Motors are working with ride-hailing companies to incorporate the self-driving technology into their fleets, but BMW says it will announce its partnerships next year. One viable option is to test the Level 3 systems in the DriveNow and ReachNow fleets. The conclusion of the event was that even though BMW had the capability to deliver Level 3-enhanced cars today, the company prefers to take a more cautious approach in order to achieve the perfect product expected by BMW customers, which also means no beta testing on its drivers. Next post Is the E46 BMW 3 Series the new budget-build Bimmer?